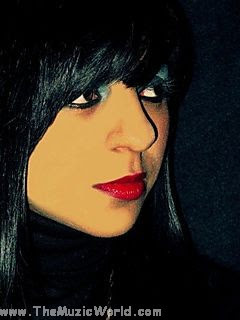 Female Producer/Singer/Songwriter Kiran Zamman hails from the depths of Nottingham. With an ear for perfection and thirst for always finding a newer and newer sound, Kiran’s music can be described as a somewhat cross between that thing you can’t quite put your finger on and a pot of musical knickerbocker glory! Impressive for a young Asian lass right?! Right now Kiran is in the process of finishing off her debut album, an album which is very close to her heart. This will set the standard for how Kiran will be perceived as a producer and artist. So with that in mind Kiran is working exceptionally hard to ensure this album is a stinger. Kiran is not only flying high in the studio, but alongside her has an eclectic mob of talented gentlemen who too hail from the forests within Nottingham. Band members are Paul Dawn on guitar, Matt Sunderland on Drums and Jim Acons on bass, with Kiran on vocals, guitar and keys. With them all bringing a fresh touch to their live sound, hearing Kiran on CD but then live will be two worlds apart yet so close together. With the love they all share for being on stage and performing with instruments, this colourful bunch named “The Spectres” alongside Kiran Zamman, will for sure show what a unique riot is about to occur. Having begun her musical voyage at the juvenile age of 13, a teenager and surrounded by music thanks to her father, it wasn’t long before she knew music was going to be her life. Kiran instantly took to the likes of “Roy Orbison", "The Supremes” and even more surprisingly "Dolly Parton". Kiran has since blossomed into a fully blown music producer with her own edge and take on what music is. With her love for energetic synths and any instrument she can get her hands on, don’t be surprised of the types of sounds that may crop up in Kiran’s music. Fed up of the lack of predominant female producers in the industry, Kiran has taken it upon herself to set a platform and reach for the stars as a female producer. So WHY have we not heard of Kiran if she has been doing this for years we hear you scream! Well have you ever heard the phrase patience is a Virtue? Of course you would have, it’s all about quality not quantity with this girl and as much as she may be a tortoise in this industry race at the moment whilst being locked away in the studio, the time is coming where she will be ready to hit the industry with a storm and show the world what she’s really made of. With a Music technology Bsc under her belt Kiran has also taken the time out to ensure that she has gained the technical knowhow and backing to be able to say yes I know what I’m doing. Already having had airplay on major Asian Radio stations such as the BBC Asian Network, Club Asia where she was Veena V’s Top Dog, Asian Star and The Desi Hits Desi Mixtape Show to name a few, she is certainly getting attention well before she is even ready to go full throttle and make the noise she wants. To date Kiran has had the pleasure of working alongside the Norwegian Stunner ‘Deeyah’ (Norway) on a radical project named ‘Sisterhood’, A compilation album stacked full of Asian female artists from around the globe. 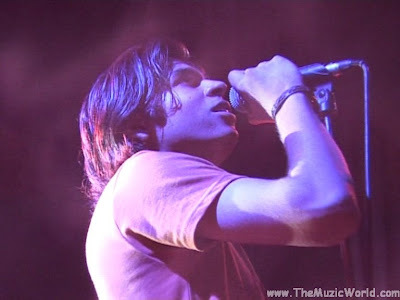 Kiran wrote, sang and produced a song for this project named ‘I Have A Dream’, a tune strongly based on Racism with reference to Martin Luther King. Deep right?! But Kiran further produced another track for the wonderfully lyrically talented Just1Jam for that album named “Requiem”. Kiran aspires to go where no female has been fortunate to reach before, yes the stars , but the test is staying there and that’s exactly what she intends to do! To download here tracks, 'RIGHT CLICK' and 'SAVE TARGET AS' on the given links below. To listen the songs directly click on the blue colour 'PLAY' button. Here are the pix fo Zeeshan's performance. As we all know that first Abhijeet insulted Atif Aslam and later Asha Bhosle insulted Atif Aslam, and now the famous Pakistani celebrity talk show host Nadia Khan gave her response on this issue. This the first time that somebody said something on this issue from Pakistan. The best thing is that Abhijeet is being critised by all music lovers of India..... Really , MUSIC HAS NO BOUNDARY. Well hope that you have the idea that AZAL performed in the title track of the movie SINGH IS KING. That song is getting popularity and recently in a live performance for the movie SINGH IS KING, AZAL the performed the very same song in Rock version.... This is the best thing about rock musician that whatever they do, they can not go away from their basic ROCK MUSIC.... Well here is the video of that performance. Few days before i made the post about SUMMER JAM 2008 and later made a post SUMMER JAM 2008: Concert Review. And as i said that i am looking for the performance videos of that concert, i found one of them today. It is of AKASH THE BAND performing their hit track JI LIYA. The moment i will get more videos , i will share that with you all. WAQAR of RAAH THE BAND made a cover of the song JI LIYA of AKASH THE BAND. It is a home made rough recording , may be a camera phone as frame rate is really low. But still you can listen the track clearly and that is the important thing as Waqar performed the guitar brilliantly in this cover performance....Soon RAAH THE BAND is going to release their second track Intezar but for now you can watch this video from RAAH THE BAND. These are the lines of the famous song Long Long Way To Go by Def Leppard. May be you are wondering that why i am singing this song? Well there is reason that made me recall and sing this song. It is Ewan McGregor’s Long Way Down. May be this thing is also new for you but i would like to tell you that this is the name of the new movie of Ewan McGregor (he is one of my favorite actor....SO GOOD). His new movie is LONG WAY DOWN is going to release next week on 31st July and i would like to watch this movie in the theater. One of the reason that i want to this movie is that this movie is a travel movie in which the lead characters of the movie are on a long long trip on their bikes. What can be adventurous than this? I really love to travel on bikes with my friend and i think every young guy of my age love to do this. This movie is all about Ewan McGregor and Charley Boorman’s epic travel from the top of Scotland to Capetown, South Africa on BMW motorcycles. LONG WAY DOWN is a follow-up to the Long Way Round trip of 2004. Hope that just like me , you will also wait for the 31st July when this movie will be in theaters. 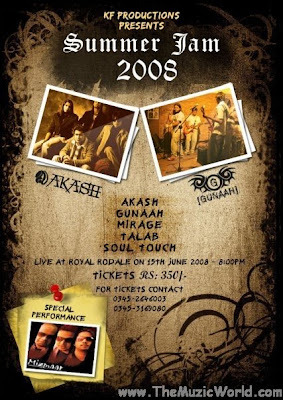 Few days before i made a post about the SUMMER JAM 2008 in which few big names of Pakistani music industry like AKASH THE BAND, MIZAMAAR, TALAB, GUNAAH etc. performed and i got the whole detail of that concert. So i am sharing that with you. Hope that soon i will get the video of that concert also. HASSAN of GUNAAH promiced me that the moment he will get the video, he will share that with me.......Well for now here is the details of the SUMMER JAM 2008. Putting up a good rock show is a tough job. But when the line-up features quality bands like Mizmaar and Akash alongside talented underground acts such as Gunaah, Soul Touch and Talab, the evening is supposed to be a musical extravaganza. 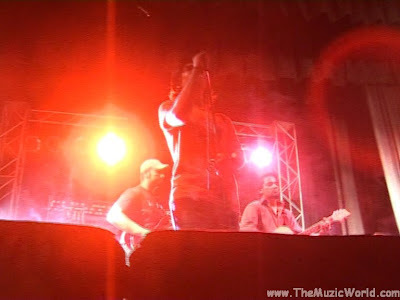 The concert was organized by a growing event management company at a local club. Thankfully, the arrangements were made in an auditorium which was a sigh of relief for the audience and the musicians as summer is in full swing these days. The crowd at the gig mainly consisted of zealous youngsters who were ready for some serious head banging coming their way. The evening got underway with the performance of a rising band, Talab. The band had a brief stint on stage but they managed to arouse the crowd. Their opening number was a Him cover, Wicked Games, followed by an impressive recital of Sajjad Ali's Bolo Bolo. The second act, Soul Touch, featured a female vocalist, Ghazal, who had a very sultry voice, and Yaseen. They started the proceedings with an Eagles cover, Hotel California, which pumped up the energy amongst the audience. 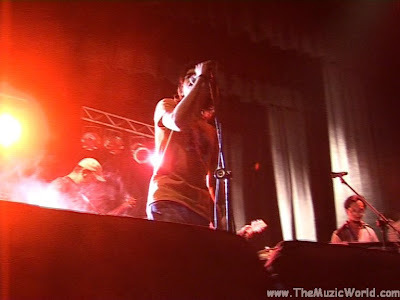 However, the band sedated the scene with an excellent cover rendition of Roxen's Tera Mera Rishta. Gunaah is an upcoming band that is witnessed performing widely on the local circuit. It features Hassan (vocals), Bilal (rhythms), Zain (lead guitars), Yasir (bass) and Qumber (drums). The boys possess all the rudimentary elements that a band requires to make it to the mainstream circuit. Their gig kicked off with a cover of Neil Young’s evergreen number Keep Rocking In The Free where vocalist Hassan was in top form. A serene Noori cover, Dobara Phir Se was performed next to perfection with finesse. The highlight of Gunaah's gig was their original number, Sard Raatein, which aroused and received plaudits from the attendees. The funky cover of Mauj’s Pehliyan was also an exuberant rendition while Ali Azmat's Neend Ati Nahin brought their gig to a halt. In my view, Gunaah was arguably the best amongst the other underground acts. 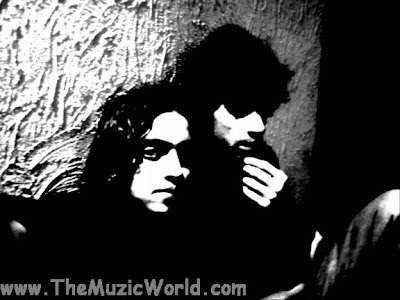 After back to back underground acts, it was time for the mainstream bands to show their mettle and first one to do so was Lahore based rock band, Akash. They blasted off their gig with a cover of Ali Azmat's cover Neend Ati Nahin followed by their somber number, Ji Liya. Sam is a rousing live performer and was simply immaculate on this one. Then arrived my favourite part in any Akash gig - Junoon's medley. Sam received massive applause on the track as he launched into another crowd pleaser, Armaan. Akash ended their gig was a pure rock’n’roll treat, Da Teen Char Song. 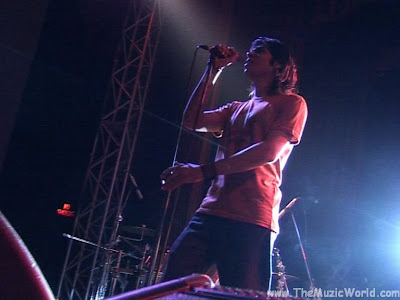 The main act of the concert was pop rock band, Mizmaar. The band squandered no time in igniting the show with their signature opening number, Pal. I especially love Kashan's miraculous extended guitar solo on the track that spreads the message of living life to the fullest and for the moment. A rambunctious rock version of Dil Ki Tarah wooed the crowd on their toes and some of the zealots began head banging. Daniyal then got off the stage on Bon Jovi's cover It’s My Life which was an epitome of the original track. Sajna was another faultless rock performance that flabbergasted the crowd while their hit track, Sitara, ended the evening on a high note and proved Mizmaar's image as a compelling band. All of us know very well that technology is the thing that is ruling our world and covering everything under it. Doctors are always considering as a person who is not much gadget friendly but now everything is changing very fast. These days doctors also using many gadgets for better performance in their profession as well as for their personal use. You can find that these days many companies are making products specially for the doctors and physicians,such as Epocrates. They are making some high end PDA medical software for the doctors to help them. And they are really good as they helps a lot for the better performance as a doctor. Hope that soon we will see that all doctors are having these types of gadgets. Omer Nadeem is back again with a new and superb composition, Saza Ki Zaja. It's a nice composition like all other previous songs of Omer Nadeem. I think when Omer will release his album then it will be the only one in which all songs will be popular..... This guy is just great in compositions. Click on the blue 'PLAY' button to listen Saza Ki Jaza. To download the track 'RIGHT CLICK' and 'SAVE TARGET AS' on the given link below. ALAG THE BAND is back again. And this time it's their theme music. DJ XAAD created that for the band. DJ XAAD is also there in KAAFLA THE BAND. Well here is the track for you. Hope that ALAG THE BAND will be out soon with their most awaited tracks WO BEDARD and KAISE BHOOLUN. To download the song, 'RIGHT CLICK' and 'SAVE TARGET AS' on the given link below. You can also listen the track directly by clicking on the blue PLAY button. Just like a young boy of my age, i am crazy about cars and bikes. I am very much in sports cars and SUVs. Hope that someday i will have my dream car. And if you want to buy a car but facing financial problem then you can get money from many sources. Online Car Loans are very popular these days and you can also get Used Car Loans if you want to buy an old or used car. So it is better not to wait as price of cars and other vehicles are really increasing each and every day. So get your dream car and let the people know all over the world. WARNING : THIS SONG IS HAVING FOUL AND EXPLICIT LYRICS. Hope that you are having the idea that i am an engineering student and my branch is Electronics. In a country like India, it is just not an easy task to get a good job. Each year nearly 4 lakhs students are getting the degree of engineer. So you can easily imagine the condition that how competitive it is to get a job here in India. Just an engineering degree is not enough if you want to get a good job. You must have something extra to win and get a nice job. Because of this reason i am planning to get some extra weight in my academic performance to get a nice job. Doing some part time courses and specialisation courses are the best for this. As i am belongs to electronics and IT field, i search for some courses and training programs for my branch of engineering. Out of many, i found that Cisco certification will be the best for me. Cisco is having lots of training programs for IT students. Their service is available worldwide so, you can join their service from anywhere. They are having many different types of training programs. So you can select the best one for you, according to your interest and specilisation. In my view, for every engineering students , it is really to join the training programs of Cisco as they are having some nice training programs for IT and engineering field. I know that it will be beneficial for me a lot , as it will help a lot in getting a nice job. Hope that soon, i am going to join their courses. And if you also an IT related engineer then you must join the training programs of Cisco, for your better future. Here is the live performance video of the song PEHLA NASHA PEHLA KHUMAR ( Jo Jeeta Wahi Sikandar) by ROXEN THE BAND..... Well what to say? Musti is good in rock singing and he should try only his stuffs. Just like ATIF ASLAM who performed really bad on the song Gulabi Aankhien @ Tribute To MD. RAFI, Musti also was not good on this performance....... Well watch the video of that performance and decide that they should perform these great hit songs in their voice or not? To download the songs, 'RIGHT CLICK' and 'SAVE TARGET AS' on the given links... To listen the songs, click on the blue colored PLAY button. This blog is all about music and i think every music lover's necessary gadget is a music player. For most of them, iPod is a brand that they love to use. But for few people, it is not possible to buy them as they are a bit costly. But here is the chance to grab your favorite iPod from uBid.com. They are having an iPod Auction, in which the bid is starting from just $1. So if you are the lucky one then , you can a get your favorite iPod model at a very low price. All you have to do is to join uBid.com and make bids on your favorite iPods. Now the bid is for 1000 iPod sets. So there is a huge possibility that you will get the one , you want. uBid is an auction site but very much different than other auction sites like eBay. So i would like to say that if you are a music lover and want to have your cool mp3 gadget with you then, you must participate in this iPod Auction as it will be a great deal for all music lovers who wants to have an iPod. What is wrong with Indian music industry ???? Abhijeet insulted Atif Aslam few days back in a tv show. And now Aadesh Shrivastav and Asha Bhosle insulted him. Aadesh Shrivastav called Atif Aslam a 'garbage' and worse than the participants of SA RE GA MA singing competition.... 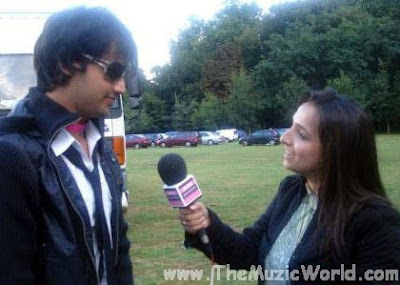 The only relief was that Pritam supported Atif Aslam and said that 'Nobody can sing like Atif Aslam'...... I am sharing the video of this incident. It would be great if you will give your comments on this. Few days back ALI AZMAT performed this song with RAHAT FATEH ALI KHAN. And it was really nice to listen these track in his voice. The fusion of vocals of two different genre of music ROCK and CLASSICAL was simply superb.ALI AZMAT performed the guitars on this song too..... And now you can watch and download that great performance of two great artists. To download the song, 'RIGHT CLICK' and 'SAVE TARGET AS' on the given link below. To listen it, click on the blue 'PLAY' button. I just love to watch Hollywood movies as they are always coming out with new ideas and concept. The best thing is that they can make a brilliant movie on any topic. I like travel related movies as i love to travel recklessly. And the latest release in this type is going to be of Ewan McGregor’s Long Way Down. Ewan McGregor is one of my favorite actor. And it would be really great to watch him in this movie as a traveller on a bike. Even the name of the movie is so good that it is making me excited to watch it. And hope that i will not miss the chance on the release of the movie. Well this movie is all about Ewan McGregor and Charley Boorman's epic travel from top of Scotland to Capetown, South Africa on BMW bikes. For me, it can be the most adventures thing. I usually travel to unknown places and destinations a lot on bikes with my friends,just for adventure and fun. But a journey like Long Way Down is what i would like to do someday.... Well this movie is going to release, just for a day on 31st July. So just do not miss the chance to watch this movie cause i know that it would be a great experience for you to watch this movie. WAQAS of KAIN THE BAND is working on a new project. His new band is called Odyssey. Odyssey is a in Progressive/ Metal genre. They are out with their debut track Falling Into Infinity and this song is available for download. Well i changed the template and also remove my profile from The Muzic World,otherwise you could see that use specs. And in the search of some nice frames for me i found this site zennioptical.com. They are having a nice collection of stylish and fresh frames. So if you also wear specs then you must this site for some cool and stylish frames. Shafqat Amanat Ali Khan is back with his new track Khamoshian. Well as we all know that he is no more part of the band Fuzon, so he is coming out with single tracks and some OST. This track Khamoshian is also an OST....Well today i was listeing his first OST track MITWAA and reminded me that how great he is in singing and Fuzon is not going to get any more success without Shafqat....Hope that he will be back in Fuzon. To download the audio and video, 'RIGHT CLICK' and 'SAVE TARGET AS' on the given links below. To listen the audio,click on the blue PLAY button. Hope that you are having the idea that Abhijeet insulted Atif Aslam in a singing competition. One of the participant Aneek performed the song Pehli Nazar Mein of Atif Aslam. And after that,Abhijeet made some comments on Atif Aslam. Abhijeet is popular for insulting Pakistani singer. He also insulted Nusrat Fathe Ali Khan Sahab. So it is not a new or shocking thing...... Well you can watch the video of that incident here. Few days back, Roxen released their first track YAADEIN in a revamped version. It is a slow version of the very same with the very same lyrics. But the major difference is that the revamped version is sounding much better than the original one. Even you can easily get the idea that in last few years, Musti was really trying hard on his vocals cause in this song, he performed really good. Everybody loves Tennis and all tennis lovers have a passion about Wimbledon. But the major problem most of the tennis lover is facing about Wimbledon is that because of differnt time zone, sometimes they are not able to watch their favorite tennis player live in action. But this it will not a big problem. You can watch the Wimbledon LIVE. MediaZone is having the rights to broadcast the matches and highlights of Wimbledon matches in conjunction with the television schedule for the first time. So you can watch all your favorite tennis players, playing in Wimbledon. So now you have the ability to watch previous matches you missed. So get ready for all the Wimbledon actions from your favorite tennis players.